Izzie’s is participating the Once Upon A Nightmare mainstore event, offering new Halloween releases and a hunt gift. 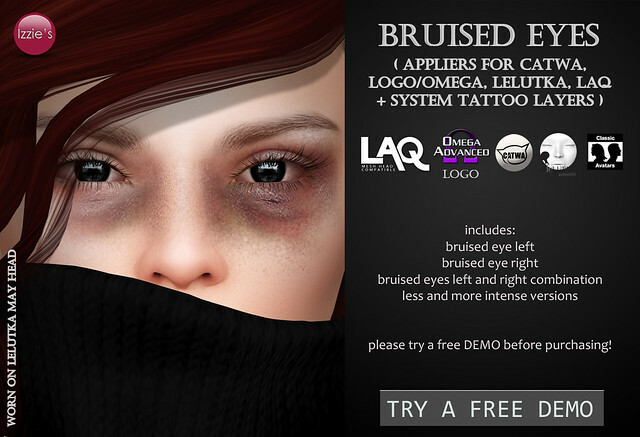 Izzie’s new release items are a set of Bruised Eyes for Catwa, Omega, LeLutka, LAQ and system tattoo layers and Matte Lipsticks in Halloween Colors for Catwa and LeLutka heads. The lipsticks are 50% off the regular price. Please try a free DEMO before purchasing! 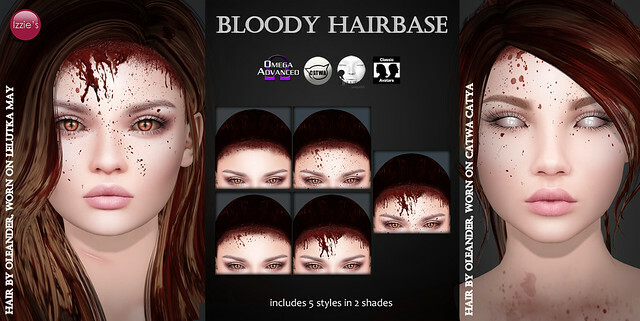 Izzie’s hunt item is a Bloody Hairbase set for Omega, Catwa, LeLutka and system avatars. The hunt box is hidden somewhere inside Izzie’s mainstore. 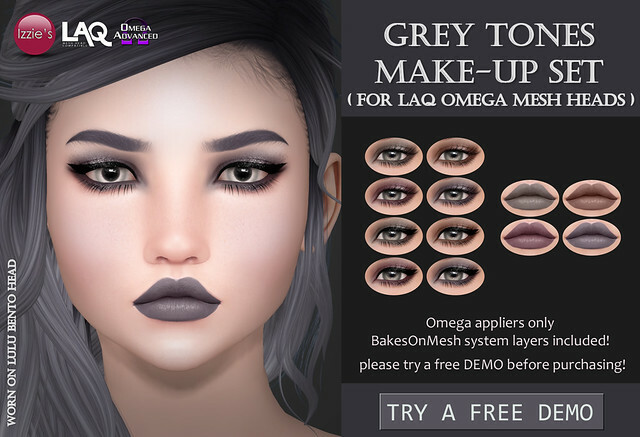 Izzie’s released All The Colors Matte Lipstick appliers for Catwa and LeLutka heads and a set of Angel Eyes including Omega, LeLutka and Catwa appliers, mesh eyes and system eyes at Izzie’s mainstore for Fifty Linden Fridays. The lipsticks come in 10 colors and 4 shades, the eyes come in 10 colors and apply to left and right eye individually. Please try a free DEMO before purchasing! Izzie’s is participating Salem, offering 2 new Halloween items, a Slit Throat and Bloody Lips set. The Slit Throat includes appliers for Catwa, LeLutka Bento and Omega (face), Maitreya, Belleza, Slink and Omega (body), system tattoo layers are included as well. It applies to upper body and face and comes in 2 shades and 2 styles. 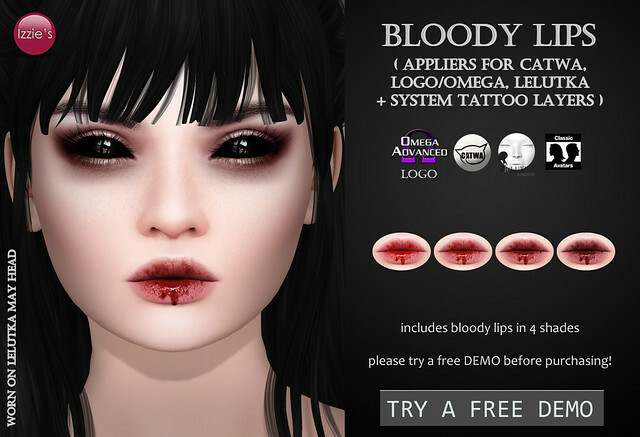 The Bloody Lips includes appliers for Catwa, LOGO/Omega, LeLutka and system tattoo layers. They come in 4 shades.